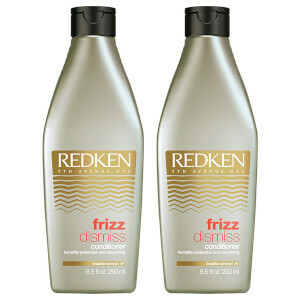 Effortlessly detangle hair with the Redken Frizz Dismiss Conditioner Duo. 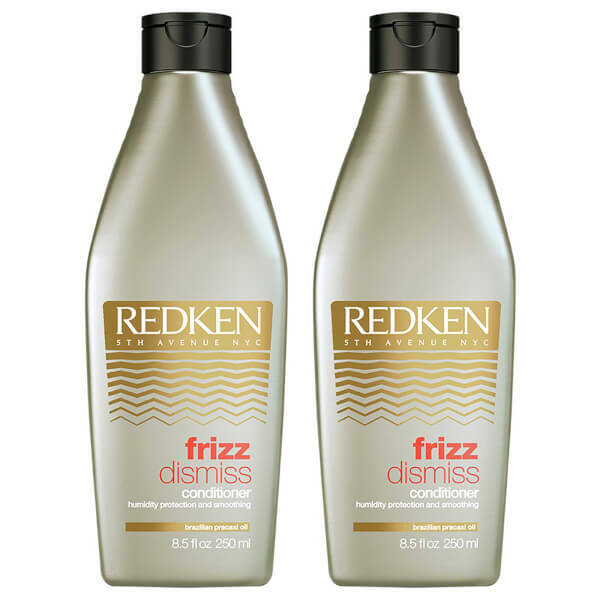 Suitable for all hair types, the weightless conditioner has been specially formulated with a Humidity-Resist Complex to control frizz and flyaways, leaving hair sleek, smooth and calm. Nourishing Brazilian pracaxi oil strengthens hair fibres from root to tip so you can experience long-lasting manageable and hydrated locks. Aqua/Water/Eau, Cetearyl Alcohol, Behentrimonium Chloride, Paraffinum Liquidum/Mineral Oil/Huile Minerale, Orbignya Oleifera Seed Oil, Parfum/Fragrance, Isopropyl Alcohol, Glycerin, Phenoxyethanol, PEG/PPG/Polybutylene Glycol-8/5/3 Glycerin, Pentaclethra Macroloba Oil/Pentaclethra Macroloba Seed Oil, Hexyl Cinnamal, BHT, Chlorhexidine Digluconate, Citric Acid, Alpha-Isomethyl Ionone.